Maureen is the former Managing Partner of Osler’s Calgary office (2011-2017) and a trusted advisor to many major commercial clients. Maureen’s litigation practice is devoted to complex commercial disputes with particular emphasis on the resource industry. 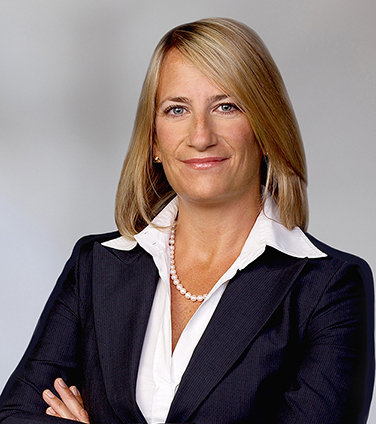 She is a seasoned trial and appeal lawyer with extensive experience in commercial arbitrations (domestic and international) and other forms of dispute resolution. Maureen represents a diverse group of clients and has broad experience in resource industry disputes acting on major pipeline, hydroelectric, oil sands, midstream, upstream and downstream disputes. A significant portion of Maureen’s practice involves litigation related to major resource and transportation projects and undertakings. She routinely appears on matters of judicial review, regulatory appeal, and environmental, administrative, constitutional, Charter and aboriginal claims in Federal and Provincial Courts across the country. Benchmark Litigation notes that Maureen is described as: “a real force in the litigation community, taking charge and really appearing front and centre on big actions …” "She is very collaborative and really knows her stuff. She is very good at getting things under control." Representing Kinder Morgan in all challenges to the federal and provincial approvals of the Trans Mountain Expansion including motions for leave to appeal, judicial review, stays and injunction motions at the Federal Court of Appeal and the British Columbia Supreme Court. Acted for a major international E&P company in a $30 million dispute with a pipeline company, 2016/17 under the Arbitration Act of Alberta. Defending TransCanada Pipelines in an Ontario Superior Court action by the Aroland and Ginoogaming First Nations against the National Energy Board and Canada, alleging failure to consult in relation to the TCPL mainline. Representing TransCanada Pipelines in obtaining multiple injunction Orders enjoining blockades to resource projects, Alberta Court of Queen’s Bench, January 2017, February 2017, March 2017. Ernst v. EnCana et al: Defending EnCana in a $11 million claim for damages by a landowner for alleged damages sustained due to “fracking” in oil and gas operations, Alberta Court of Queen’s Bench. Represent the Terra Nova Project (offshore Newfoundland) in a royalty dispute with the Province of Newfoundland and Labrador. Representing Nova Gas Transmission Inc. in the defence of a number of Federal Court challenges (leave and judicial review motions) to pipeline projects (2015-17). Defending ConocoPhillips, Statoil, Anadarko, et al in a multi-million dollar dispute with GSI at the Court of Queen’s Bench of Alberta over seismic data use and fees. Defending CNRL in Devon, Bard et al., v. CNRL, a commercial dispute in relation to interests and obligations associated with the multi-billion dollar Horizon Oil Sands operation. Acted for Shell Canada Limited, in the defence of challenges to Shell’s proposed Jackpine Mine expansion at the Alberta Court of Appeal and the Federal Court of Canada. Reported Decisions: Métis Nation of Alberta Region 1 v. Joint Review Panel, 2012 ABCA 352 (leave to appeal to SCC, denied); and Adam v. Canada (Environment), 2014 FC 1185. Represented a major international resource company in a confidential contractual dispute arbitrated through the London Court of International Arbitration, 2015 (“LCIA”). Coldwater Indian Band and Chief Harold Aljam et al v. Kinder Morgan Canada Inc. et al: the successful defence of a judicial review application and appeal at the FCC and FCA regarding a pipeline expropriation dispute. Kinder Morgan was also entirely successful in its cross-appeal at the FCA. Reported Decisions: Coldwater First Nation v. Canada (Indian Affairs and Northern Development), 2013 FC 1138; Coldwater Indian Band v. Canada (Indian Affairs and Northern Development), 2014 FCA 277. Coldwater Indian Band and Chief Lee Spahan et al v. Kinder Morgan Canada Inc. et al: defending against a judicial review of a decision of the Minister of Aboriginal Affairs and Northern Development relating to the pipeline right of way through reserve land. The City of Burnaby v. Trans Mountain: part of successful defence team in injunction motion brought by the City of Burnaby to stop Trans Mountain from accessing City lands for the purposes of conducting NEB mandated tests and surveys integral to the assessment of the Project. Reported Decision: Trans Mountain Pipeline ULC v. Gold, 2014 BCSC 2133. National Energy Board Ruling No. 40 and Order Mo-122-2014 (October 23, 2014) – successfully brought a Notice of Constitutional Question dated September 26, 2014, and argued that the doctrines of interjurisdictional immunity and federal paramountcy rendered certain Burnaby City Bylaws inoperable where they are inconsistent with the Rulings of the NEB. The resulting Order granted Trans Mountain access to Burnaby Mountain to complete technical studies related to the Project and prevented Burnaby from blocking Trans Mountain from completing the work. Leave to appeal to the Federal Court of Appeal dismissed. Tsleil-Waututh Nation v. NEB, Trans Mountain Pipeline ULC and Attorney General, defending an appeal of a National Energy Board decision before the FCA, based on alleged breaches of the Canadian Environmental Assessment Act and the Crown’s constitutional duty to consult. Sierra Club, Grand River Keeper et al v. Nalcor Energy, Government of Canada et al.,: the dismissal of the judicial review of the Report of the Joint Review Panel in relation to the environmental assessment of the Project. Reported Decision: Grand Riverkeeper, Labrador Inc. v. Canada (Attorney General), 2012 FC 1520. Conseil des Innus de Ekuanitshit v. Nalcor Energy, Government of Canada et al: the successful defence at the FCC, FCA and SCC of the: (i) judicial review of the Federal Government Response to the Report of the Joint Review Panel and ultimate approval of the Project; and (ii) claim that the Crown had failed to consult/accommodate in relation to the Project. Reported Decisions: Conseil des innus de Ekuanitshit c. Canada (Procureur general), 2013 FC 418; Council of the Innu of Ekuanitshit v. Canada (Attorney General), 2014 FCA 189; Conseil des Innus de Ekuanitshit v. Attorney General of Canada, in his capacity of legal member of the Queen's Privy Council for Canada, et al., 2015 CanLII 10578. Nunatsiavut Government v. Her Majesty in Right of Newfoundland and Labrador: Representing Nalcor Energy before the Supreme Court of Newfoundland and Labrador and the Federal Court of Canada in the: (i) judicial review of both provincial and federal permits in relation to the Project; and, (ii) claim that the Crowns failed to fulfil their duties to consult and accommodate. Reported Decision Nunatsiavut v. Newfoundland and Labrador (Department of Environment and Conservation), 2015 NLTD(G) 1. Nunatsiavut Government v. Attorney General of Canada: the judicial review of a federal Department of Fisheries and Oceans authorization in relation to the Project and the claim that the Crown failed to fulfil its duty to consult. Reported Decision: Nunatsiavut v. Canada (Attorney General), 2015 FC 492. NunatuKavut Community Council Inc. v. Attorney General of Canada: the judicial review of a federal Department of Fisheries and Oceans authorization in relation to the Project and the claim that the Crown failed to fulfil its duty to consult. FCC Decision Pending. Nalcor Energy v. NunatuKavut Community Council et al: represented Nalcor Energy before the Supreme Court of Newfoundland and Labrador in its injunction motion to enjoin protestors from their illegal blockade of a work site and interference with Nalcor’s lawfully permitted work in relation to its Lower Churchill Hydroelectric Generation Project. Reported Decision: Nalcor Energy v. NunatuKavut Community Council Inc., 2012 NLTD(G) 175 and NunatuKavut Community Council Inc. v. Nalcor Energy, 2014 NLCA 46. NunatuKavut Community Council Inc. et al v. Nalcor Energy et al: successful defence of an injunction motion brought by the Nuntukavut Community Council to enjoin a regulatory process. Reported Decision: Nunatukavut Community Council Inc. v. Newfoundland and Labrador Hydro-Electric Corporation (Nalcor Energy), 2011 NLTD (G) 44. BG International in a LCIA dispute with Canadian Superior Energy Corp. in relation to an AIPN joint operating agreement pertaining to gas exploration and development in Trinidad and Tobago. The dispute involved multiple applications for Interim Relief including receivership and CCAA protection at the Court of Queen’s Bench and Court of Appeal of Alberta: (2009) 448 A.R. 24 (QB); 457 A.R. 38 (C.A.). Calgary Women Studying Law Association (CWSLA) presents "Be a Rainmaker: Women Succeeding in Law"
Legal Education Society of Alberta Intensive Trial Advocacy Course for Practitioners, Instructor 2007-2012; LESA Civil Litigation Course, 2010, Panel Chair, 2010; and Alberta Rules of Court Course, Conference Speaker, 2010. Murky Waters: Emerging Trends in Aboriginal Consultation and Project Approval, CELF 2014 Jasper Research Seminar, June 12, 2014. Published in the Alberta Law Review Vol 52, No. 2 (December 2014) page 207.